The CIA sought to establish direct contact with Hamas despite the group being listed as ‘terrorist’ in the US, according to leaked intelligence, which also alleges US president threatened the Palestinian leader over his UN-bid. 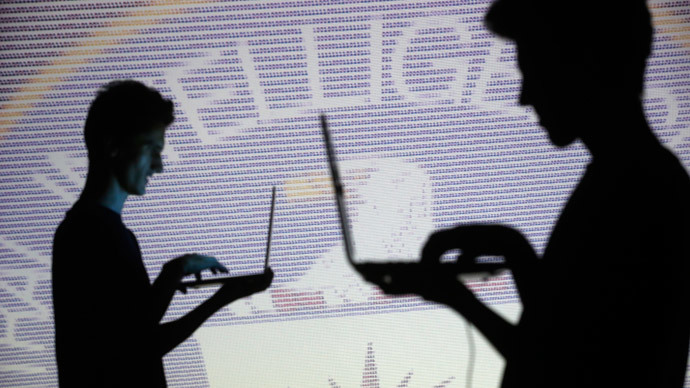 The revelations are part of the so-called Spy Cables – a cache of hundreds of leaked classified intelligence papers from all over the world, published by Al Jazeera and the Guardian. A portion of the freshly-released files are focused on the Palestinian issue. One of the documents says a CIA officer contacted a South African intelligence agent in 2012 with a request to help gain access to Hamas. That was allegedly done despite a US government ban on contact with the movement, labeled as terrorist in the United States. The American agent “seems to be desperate to make inroads into Hamas in Gaza and possibly would like SSA [the South African State Security Agency] to assist them in gaining access,” the cable reads. South African intelligence was apparently assessing its chances of benefitting from this kind of assistance. The US State Department has, however, denied there were attempts at initiating direct dialogue with Hamas. “Our policy has not changed,” US State Department spokesperson Jen Psaki told journalists on Monday, commenting on the leaked documents. There has been no comment yet on another allegation from the leaked files, which says that US President Obama made a phone call to the Palestinian leader Mahmoud Abbas in 2012 and threatened him if he pursued plans to seek “non-member observer status” at the UN. A South African state security agency was allegedly handed a memo from a Palestinian intelligence officer regarding a phone call “where President Obama threatened President Abbas if he goes ahead with the UN bid”. If the phone call actually took place, it failed to persuade Abbas and the Palestinian Authority had its UN bid satisfied. The newly-released Spy Cables describe one more failed attempt at manipulating a UN vote. The spy cables suggest Israel's Mossad tried to persuade South Africa not to approve the 2009 UN report on war crimes in Gaza during Israel's ‘Operation Cast Lead’. That inquiry was headed by South African Judge Richard Goldstone. According to the cables, former Mossad chief Meir Dagan personally called senior South African intelligence officials in October 2009, urging them to prevent the UN report from being endorsed. He said that would mean a “blow to the peace process.” Despite Mossad’s alleged attempts, the UN General Assembly endorsed Goldstone’s report. Some leaked documents, published earlier, said Israeli Prime Minister Benjamin Netanyahu's 2012 statement at the UN, in which he warned the world that Iran was too close to making a nuclear bomb contradicted his own intelligence agencies’ assessments. Al Jazeera and the Guardian claim they began publishing the cables after having verified them. They are in possession of hundreds more documents, which they will gradually release. The files are South African intelligence’s secret correspondence with their counterparts in the US, Britain, Israel, Russia and Iran and a number of other countries in Asia, Middle East and Africa. The names and pseudonyms of the agents have been blacked out from the cables, the media outlets say, as well as some potentially dangerous information, such as a description of how to make an explosive device.